See where key chapters of our nation’s history occurred – from the opening of the west along the Lewis and Clark, Oregon and Santa Fe National Historic Trails – to the early battles that started the Civil War in the Freedom’s Frontier National Heritage Area. This is the land of pioneers where you’re sure to discover a great vacation in the Heart of the West! Kansas City, KS is home to Schlitterbahn Waterpark Kansas City, Kansas Speedway, Sporting KC and an array of exciting attractions, unique-themed restaurants and shopping experiences. The Village West area boasts 400 acres of shopping. Find big bargains at Legends Outlets Kansas City, Cabela’s and Nebraska Furniture Mart. History comes alive at the Quindaro Overlook, Old Quindaro Museum, John Brown Statue and the Underground Railroad Museum. All are a part of the Freedom’s Frontier National Heritage Area in eastern Kansas. The Frontier Army Museum at Fort Leavenworth features a Lewis & Clark exhibit and houses one of the best collections of 18th century military weapons and equipment. The inspiring Buffalo Soldier Monument memorializes the African American officers and troops who helped bring peace to the frontier. The Fort’s cemetery is one of the first 14 national cemeteries established by President Abraham Lincoln. An audio driving tour leads visitors to 10 different historic sites in the area. The Leavenworth Landing Park Walking Trail includes sculpture displays and wayside tour exhibits along the waterfront. Visitors won’t want to miss Kansas historic State Capitol and at the Kansas History Museum they can see a Cheyenne Tipi, a Wichita Grass Lodge, an 1880 Steam Locomotive, and exhibits and displays that bring Kansas’ extraordinary frontier heritage to life. 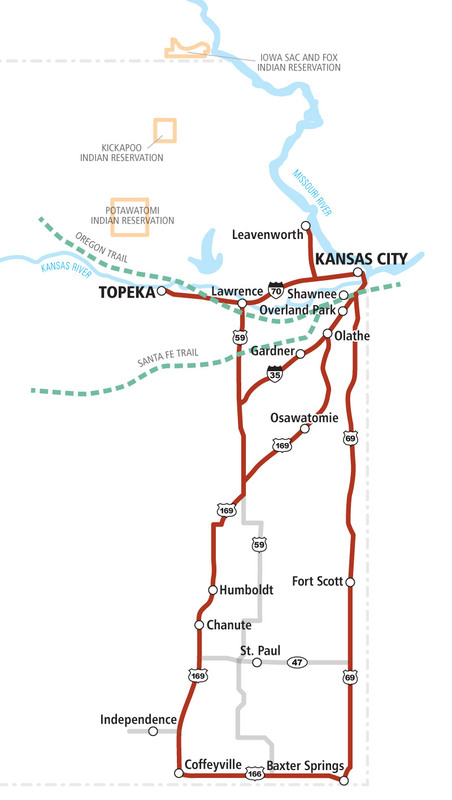 Topeka also features Old Prairie Town, the Great Overland Stage Museum and the Combat Air Museum. The historic Ritchie House, the Topeka Zoological Park and the Ted Ensley gardens are popular destinations. Home of the University of Kansas and the Haskell Indian Nations University. The mounted remains of the cavalry horse Comanche, who was the lone survivor of the Battle of the Little Bighorn is on display at the University of Kansas’ Natural History Museum. invites visitors to stroll, dine, and shop in its scenic downtown area. Attractions include the exhibits and documents at the Dole Institute of Politics, the Booth Family Hall of Athletics, the University of Kansas’ Natural History Museum, the Lawrence Art Center, and the Lied Performing Arts Center as well as the Watkins Community Museum of History. Shawnee Town helps visitors re-live life on the farm in the old days while the Wonderscope Children’s Museum opens young minds to the future. Take a stroll through the beautiful Museum at Prairiefire, the only location outside of New York to host American Museum of Natural History exhibitions. Get an adrenaline rush at iFly! Their 120 MPH wind tunnel allows to you experience free-fall conditions as you skydive indoors. Explore Overland Park Arboretum and Botanical Gardens or the Nerman Museum of Contemporary Art for a more cultural experience. Overland Park’s charming downtown is home to eclectic shops and local restaurants… all just 20 minutes from Kansas City, Missouri. The Mahaffie Stagecoach Stop and Farm Historic Site is the only stop open to today’s travelers. 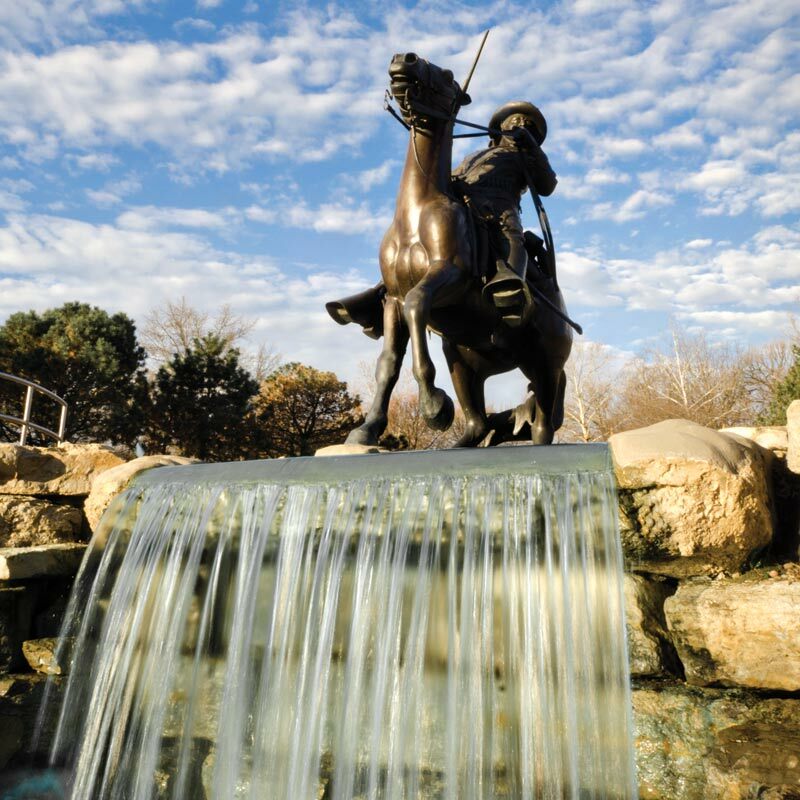 It has been welcoming Santa Fe Trail travelers since 1858. 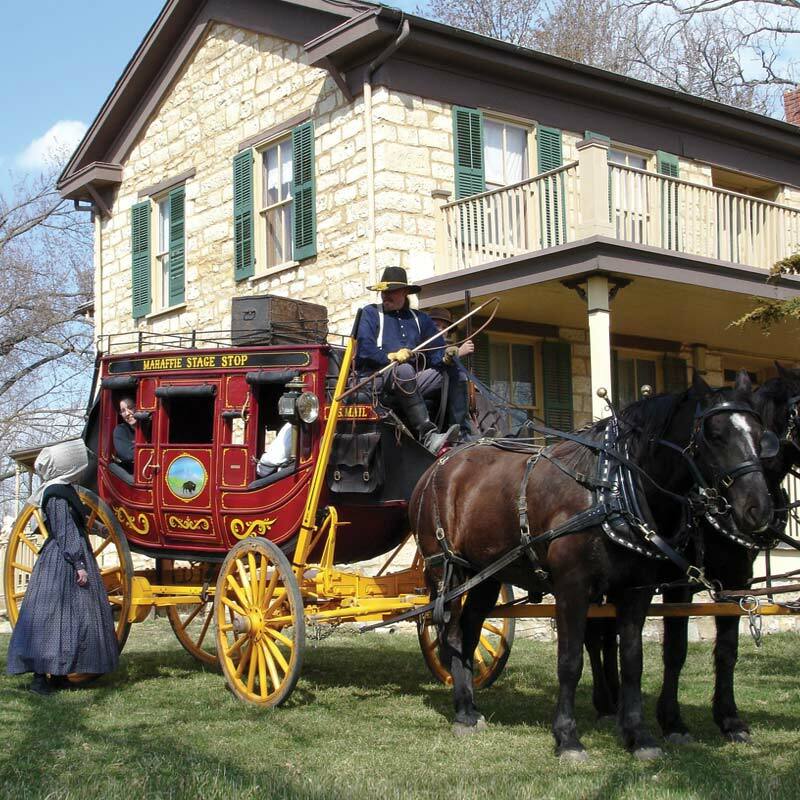 Visitors can take stagecoach rides, visit a working 19th century farm and discover what life was like on the Kansas frontier. is located at the junction of the Santa Fe, California, and Oregon Trails. Gardner’s Historical Museum features displays and exhibits that remember those pioneer days. John Brown’s log cabin home and the Osawatomie Battlefield are important historic destinations in the Freedom’s Frontier National Heri-tage Area which includes historic sites, battlefields, and museums along Kansas’ eastern border from Fort Leavenworth above Kansas City to Fort Scott Historic Site in Southeastern Kansas. The 12-site Civil War Tour includes 12 scenes etched in black granite and placed where each incident occurred, remembering the burning of Humboldt. The historical museum complex showcases the ongoing history of the community. The Martin and Osa Johnson Safari Museum features the first film and photographs of Africa, the South Seas, and Borneo that the husband and wife explored and filmed. 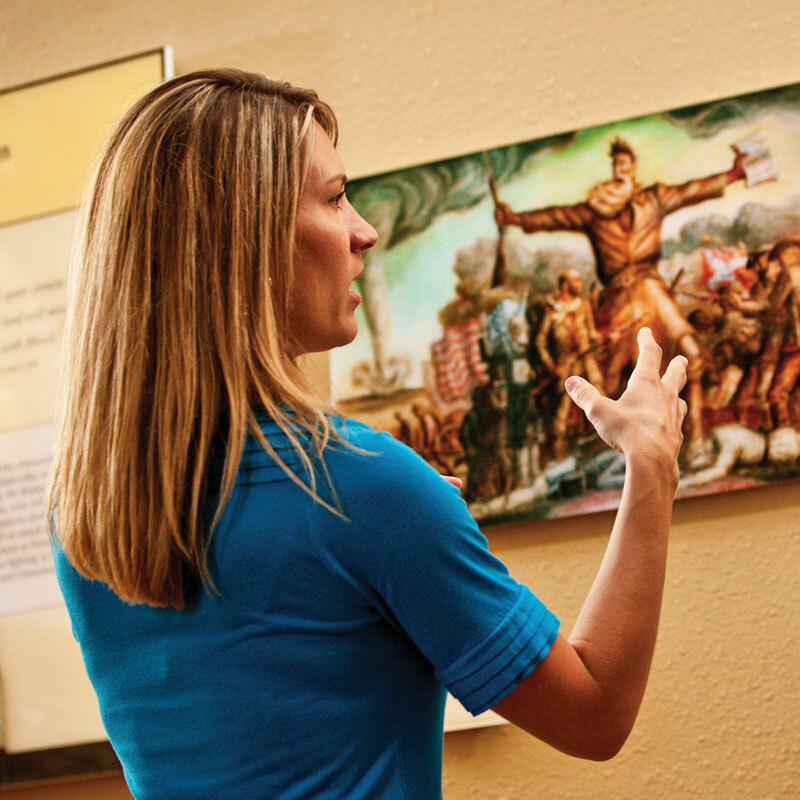 The Chanute Historical Museum includes more close-to-home displays. Visitors can step into the Ingalls cabin, better known as the Little House on the Prairie and experience what life was like on the Kansas Frontier in the 1870s. The Elk City Lake is just northwest of the community. The Dalton Defenders Museum showcases the memorabilia of the Dalton Gang who robbed two banks in Coffeyville in 1892. 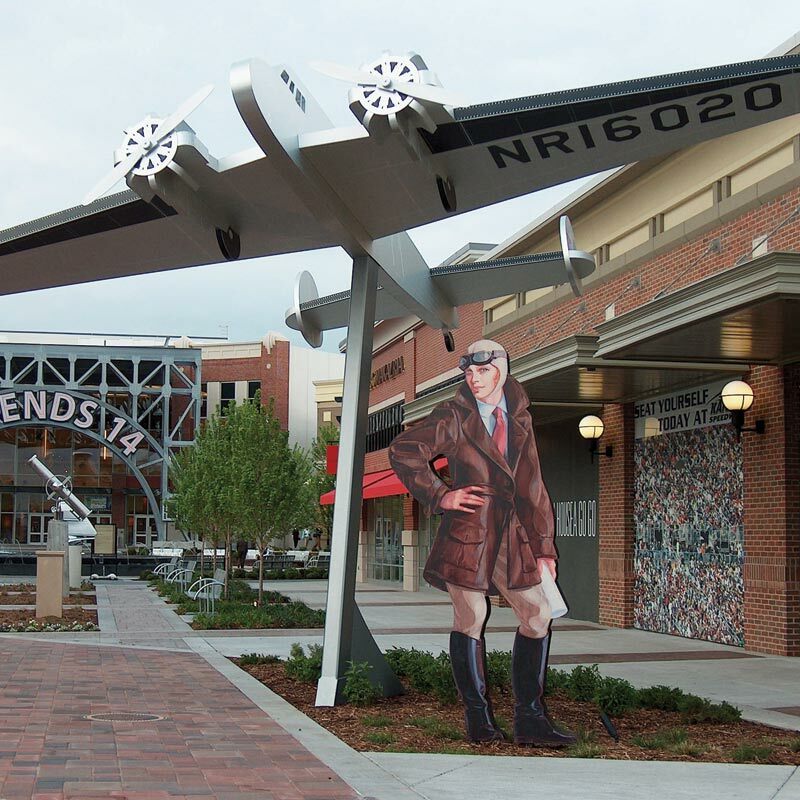 The Aviation Heritage Museum includes exhibits that showcase the early days of barnstorming and the development of aviation as a major business in the community and the state. Visit the Heritage Center and Museum to learn about the 1863 attack by Quantrill and explore the site of the attack at Fort Blair. Baxter Springs is also on the Historic Route 66 Byway. Northwest of Baxter Springs on US 69 and KS 47 is the Osage Mission Museum that displays photos, artifacts and exhibits on the 1847 Osage Indian Mission. The Frontier Military Historic Byway on US 69 includes the Mine Creek Battlefield State Historic Site, the Linn County Historical Museum, the Trading Post Museum, the Marias de Cygnes Massacre Site and the Miami County Historical Museum on all provide important insight on the Civil War and the confrontation between the states. On the Frontier Military Historic Byway on US 69. The fort has been restored and brings to life its role during the westward expansion and the Civil War years.